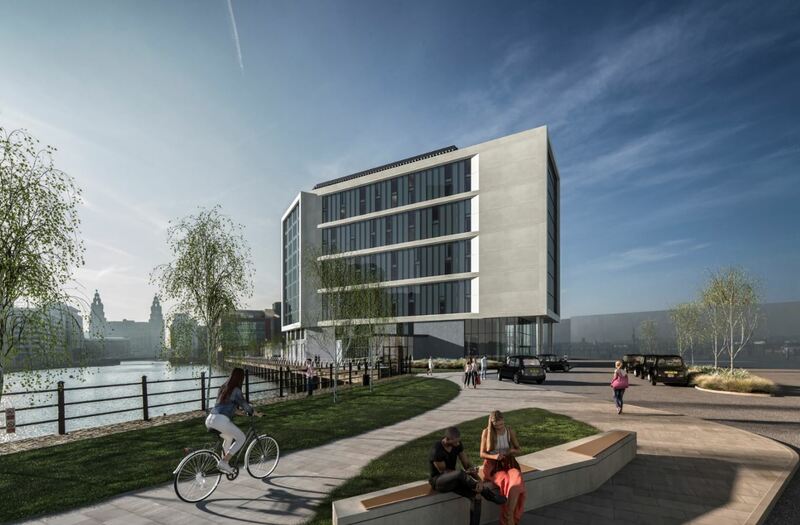 Here’s what a new hotel planned for Liverpool’s waterfront could look like. Wates Construction has been hired by the city council to build the 200-bed hotel that will sit next to the city’s new cruise liner terminal in Princes Parade. And the developer today revealed the first image of what the four-star hotel could look like. Now a public consultation will be held on the proposals, with two meetings this week, before a planning application goes in. Wates says that if the scheme wins planning permission, building work could start next year. John Foster, pre-construction director for Wates Construction North West, said: “Liverpool’s waterfront is one of the most recognisable in the world. Since the 1980s, its regeneration has created a successful and sustainable mixed-use area, which attracts over 5 million visitors to the city each year. The new terminal itself has been designed to allow the largest cruise ships in the world to start and end their journeys in the Mersey. The land on which the terminal and hotel will sit will be gifted to the city by Peel Land and Property, which is developing the Liverpool Waters regeneration scheme. Site work on the terminal building itself, which will include immigration facilities and a car park, is set to start next year. The terminal won £20m backing from the Liverpool City Region Combined Authority. Metro Mayor Steve Rotheram said: “The new cruise liner terminal is a key element in plans to further boost our flourishing visitor economy, which is now worth more than £4.5bn a year to the city region’s economy and provides more than 53,000 jobs.